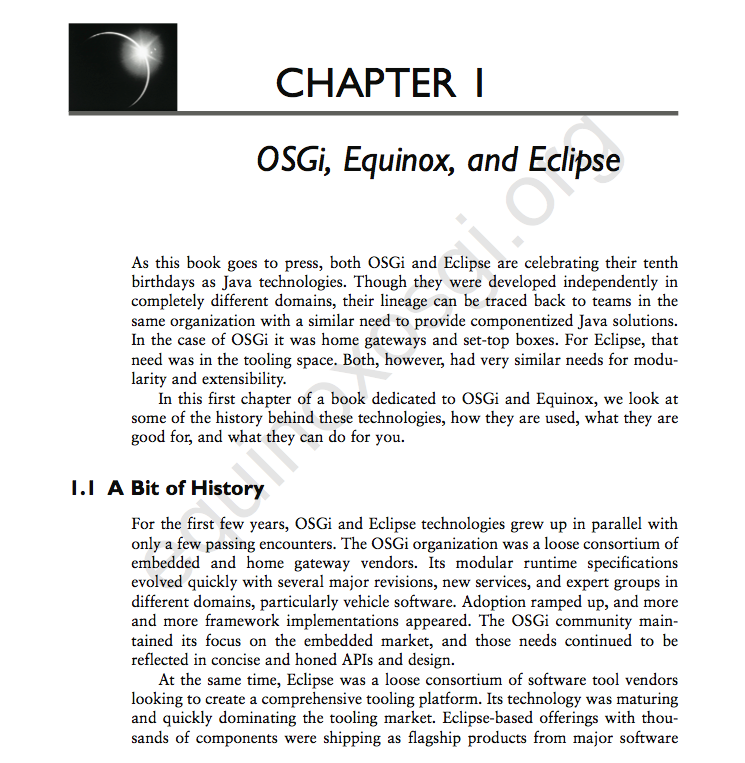 How exciting to finally have the Equinox and OSGi book done (see the book review from DZone). In the Eclipse community, many people complain about the lack of documentation and reference material, well that should be less of a problem given the book and excellent Toast example. You can download the first chapter for free (and the 6th chapter). I may be a bit biased (see the kind words about me in the Acknowledgments section of the book), but I believe this is the most comprehensive book on OSGi out there. 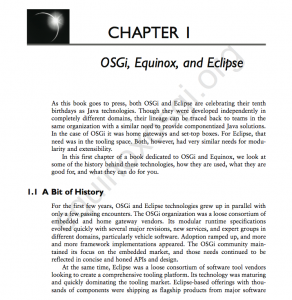 The authors have many years of practical OSGi experience, from the days to when OSGi wasn’t cool yet (SMF) to when it became the basis of Eclipse. On top of that, I think the best thing that comes out of this book is the open sourced Toast example. Expect to see a lot us within the Eclipse community use this example when we talk about OSGi, Equinox and EclipseRT. So what are you waiting for, go buy the book and learn about OSGi.